The Niger Delta Citizens and Budget Platform (NDCBP) is a coalition of civil society organizations in the Niger Delta working to ensure transparency, accountability and citizens’ participation in State and Local Government budget processes. In the last six years, NDCBP has worked with other civil society organizations, the media and communities in conducting budget monitoring, budget analyses and budget advocacy with primary emphasis on the Niger Delta states of Akwa Ibom, Bayelsa, Delta, Edo and Rivers states. The Platform’s findings have been widely published in the previous annual reports ‘Carry Go’, ‘Beyond Amnesty’, ‘Spend and Borrow’ and ‘Counting the Votes’ and ‘Wasted Billions’. We are pleased to share with you the latest in that series, ‘Pardoning Impunity: Citizens Report on State and Local Government Budget in the Niger Delta’. Pardoning Impunity begins with an interesting discussion on the challenges facing Nigeria and especially the Niger Delta in the past year. 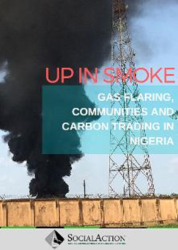 Topical issues such as the Petroleum Industry Bill, the state of federal institutions like the Niger Delta Development Commission and the Ministry of the Niger Delta; and corruption in the oil and gas industry, are elaborately examined. The report also presents analyses of the budgets of the focal states, examining how the governments’ income and expenditure have kept trend with the avowed policy directions of the states. Particularly, the interest has been on how much emphasis the governments place on the education, health and food sufficiency sectors in relation to what is required to meet the challenges of those sectors. 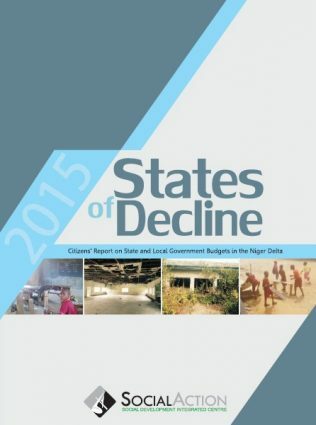 The report gives an assessment of the economic downturns witnessed in Nigeria in 2013 following the passage of the Appropriation of that year, with a major focus on an in-depth analysis of the 2013 budgets implemented in five states of the Niger Delta region, namely: Akwa Ibom, Rivers, Bayelsa, Delta and Edo. The states were selected based on the criteria of being oil-producing States and the biggest receivers of the 13 percent derivation fund allocated to oil-bearing states in Nigeria. The report also presents in factual and pictorial details, findings of NDCBP field monitors who in December 2013, visited project sites in the five focal states to carry out firsthand assessment of randomly selected capital projects in the areas of education, health and food sufficiency allocated funds in the 2013 budgets of the states. Pardoning Impunity is aimed at revealing some crucial reasons why development still eludes the Niger Delta states, while highlighting the harsh reality of the region when juxtaposed with the huge revenue allocations disbursed to it. Widespread poverty, restiveness and an acute dearth of infrastructure, remain the order of the day, in spite of the monthly accruals. The overall aim of the report is to emphasize the need for state policies and revenues to significantly influence the attainment of sustainable development and all-round wealth creation in the region.